Six days to go until Halloween! 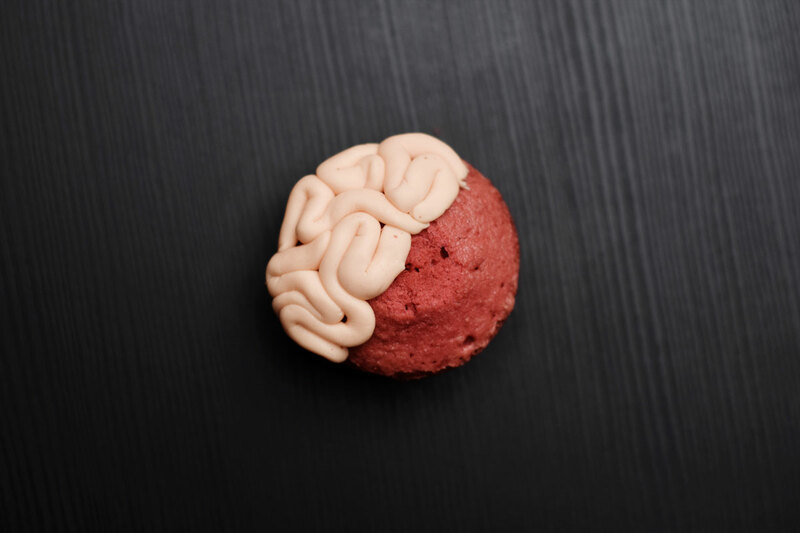 In case you haven’t noticed, there is currently a video circulating the web, of somebody making an enormous brain cake. Although I would love to give this a try, I simply don’t have anyone who’d eat it at the moment – and I really don’t like letting food go to waste. 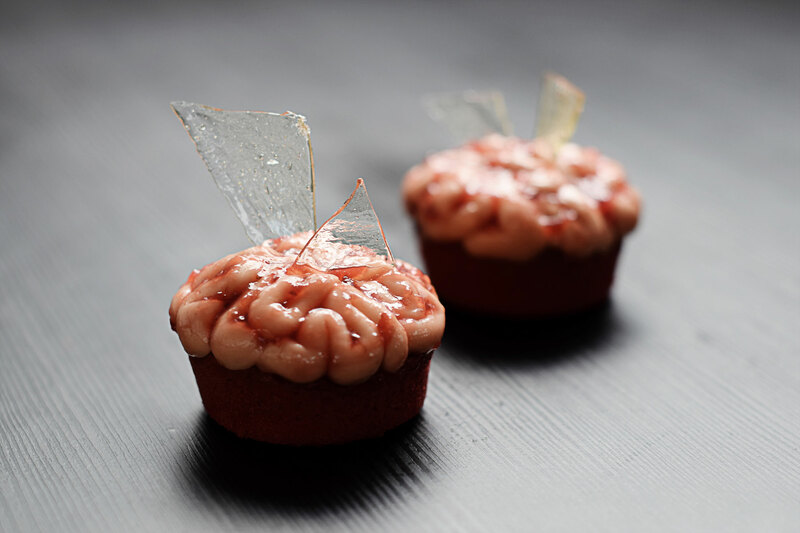 Instead I decided to downsize the whole thing into individual cupcakes and to give it an original spin by sticking some edible shards of glass right in the middle of the bloody brains. Super simple and super effective. 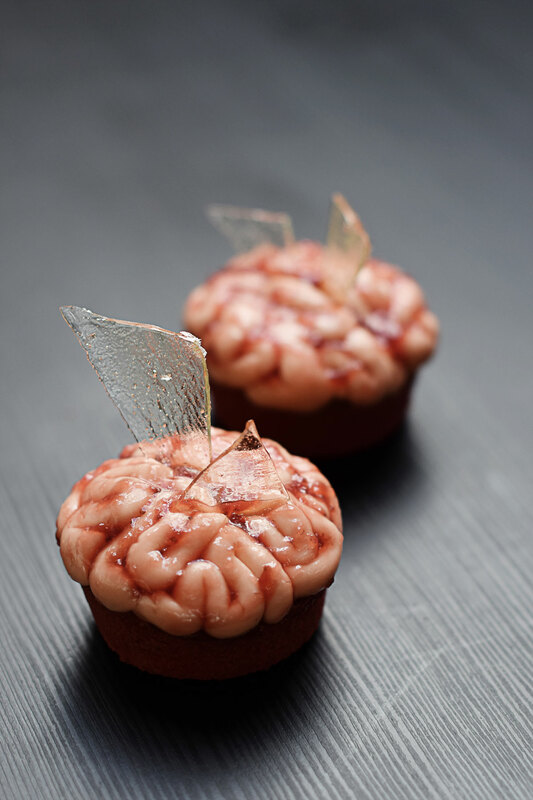 Bon Appetit, Enjoy! 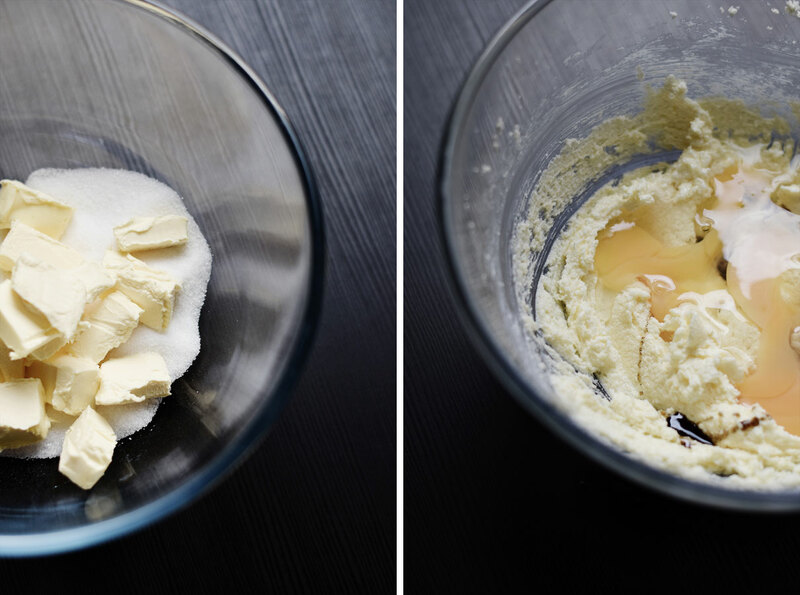 Mix together sugar and butter until smooth and fluffy. 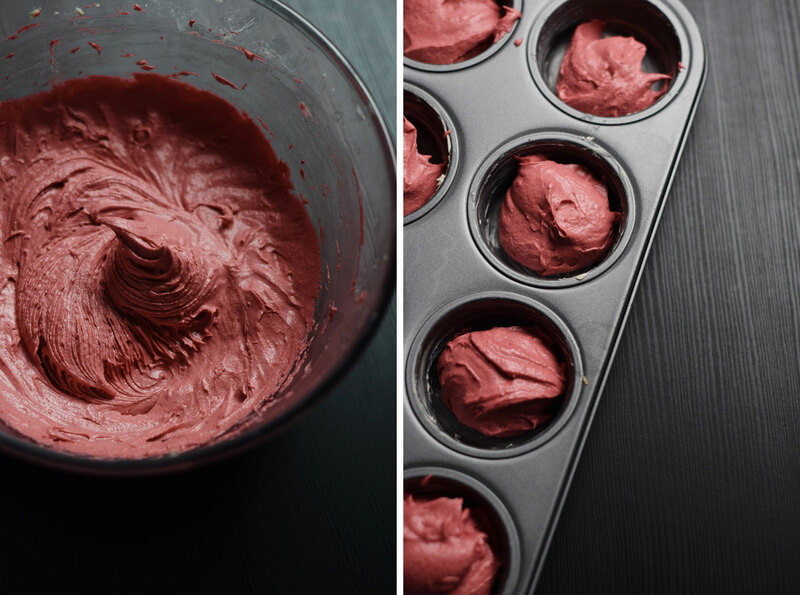 Add flour, eggs and food colouring, mix, and bake in a cupcake tray at 190° for 20 min. Mix a few drops of red and pink food colour into the white fondant until desired colour is achieved. Place in the fridge for 10 min to harden slightly. Take little pieces make several thin roles. Place them on top of the cupcake making random shapes. 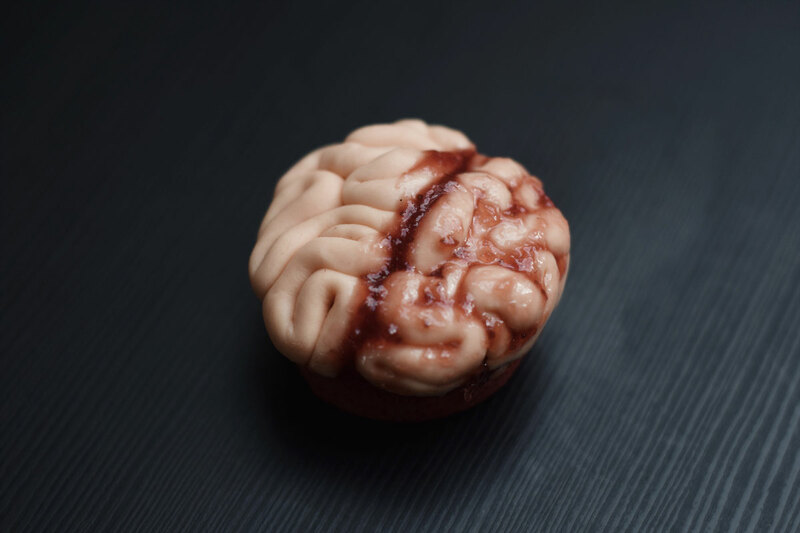 Leave a slight gap between the two halves of the brain. 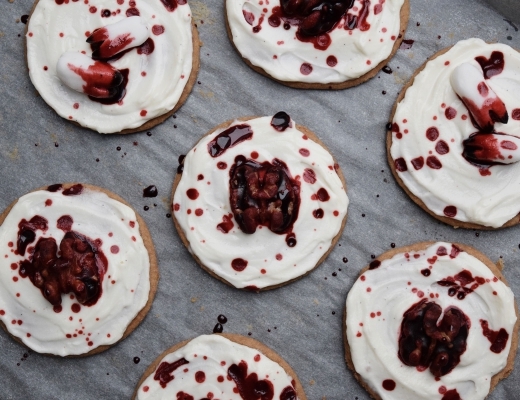 Cover with a thin layer of jam. Bring sugar, water and lemon juice to a boil. Keep mixture on medium heat while occasionally stirring. 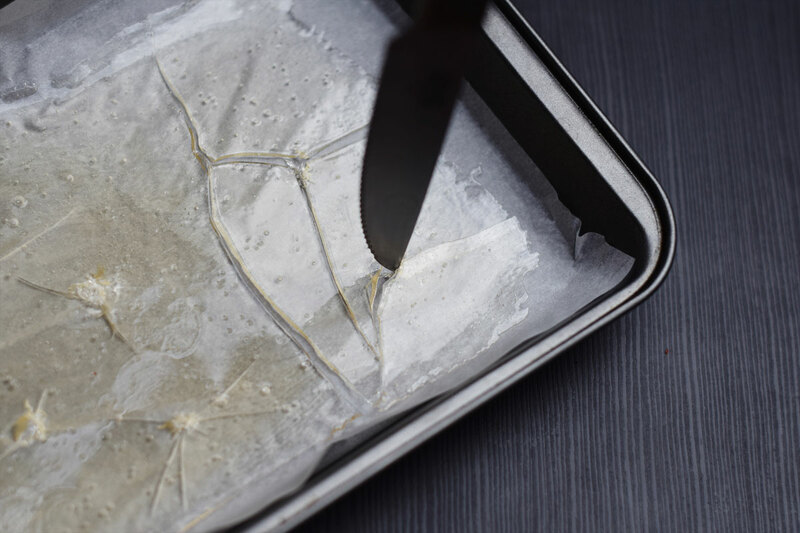 Once mixture has reached a temperature of 145° (or edges start turning yellow) take of the stove immediately and quickly poor onto a tray lined with baking paper. 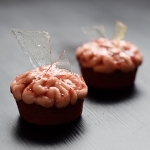 Once hardened, crack into pieces with a knife and stick into cupcakes.